Jurassic Park is based on a novel by Michael Crichton. It is based on an island west of Costa Rica in an amusement park. The amusement park is a novelty; something that has never been seen before. It is basically a safari, where the wild animals are, in fact, dinosaurs. Hammond, the owner of the island, has found dinosaur DNA and has used this to create living, breathing animals. A group of people, including a chaotician, an archaeologist and a paleobotanist have come to the island to observe what the island is about and submit an opinion on whether the island is safe for humans. They agree and set out on their tour of the island. After the initial tour of the island, almost every member of the party is convinced that the park is amazing, but each person also has a small problem with the park. Ian, the chaotician, is worried about the dinosaurs' being able to breed. The paleobotanist is worried about the plants on the island, some of which are poisonous. Hammond dismisses their concerns and insists on everyone going on another tour the next day. While everyone, including Hammond's grandchildren, are out on their second tour, the electricity and computers are disabled and the dinosaurs get loose. This is when the real action of the movie begins. When the dinosaurs get loose, most everyone is in the park trying to get back to the main building, and because of this they are loose in the park with no protection from the dinosaurs. Two of the most heartwarming parts of the movies are when Alan gets to see the dinosaurs up close and personal. At one point, he gets to hold a baby velociraptor. This is designed to allow the audience to connect with the dinosaurs, and even sympathize with them. They are dangerous animals, and should never be allowed to run free, but at the same time, they are animals out of time, and are only acting by instinct. Having humans in their man-made habitat is dangerous. Every human on the island must work together to survive these magnificent animals, and escape the island alive. Jurassic Park is currently available to watch and stream, download, buy on demand at Starz, Sling, Amazon, Vudu, Google Play, iTunes, YouTube VOD online. Goldblum has proposed to his much-younger girlfriend. Colin Trevorrow, whose only other film is the quirky but little-seen "Safety Not Guaranteed," takes on a big project with "Jurassic Park 4." Is This Really the Dumb-Sounding Plot of the 'Jurassic World' Movie? "Jurassic World" is either going to be the best movie ever, or the dumbest. If JoBlo is to be trusted (and when it comes to leaked plot details, it usually is), we know a few small details about the upcoming "Jurassic Park" reboot, "Jurassic World." And they're...different. Here's how the article describes one of the new dino creatures: "They splice together a T-Rex, raptor, snake, and cuttlefish to create a monstrous new dino that, of course, gets loose and terrorizes the park. Goldblum's long-time stalker is arrested once more. With Hurricane Sandy causing widespread damage across the east coast, here are the 5 most important storm films in movie history. We knew that the seed of an idea had been planted already, but now it's official: "Jurassic Park" will be upconverted to 3D and given a theatrical release. Rejoice and/or rage, fanboys! 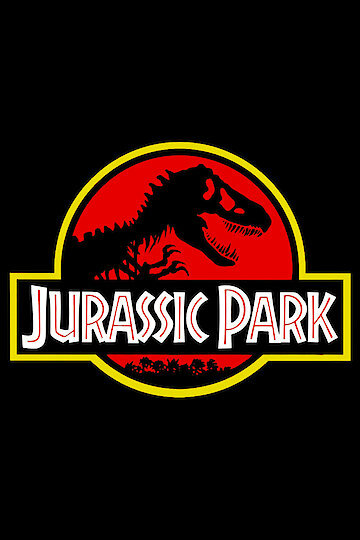 It's been years in start-and-stop development, but there's finally a ballpark time frame: according to producer Frank Marshall, "Jurassic Park 4" can be expected sometime circa 2014. Steven Spielberg won't be back to direct, but it's being written by two writers behind "Rise Of The Planet Of The Apes."